I've been in a bit of a nail art slump lately. I feel like all I'm doing is swatching polish, which I LOVE, but I miss doing nail art like I did last year. 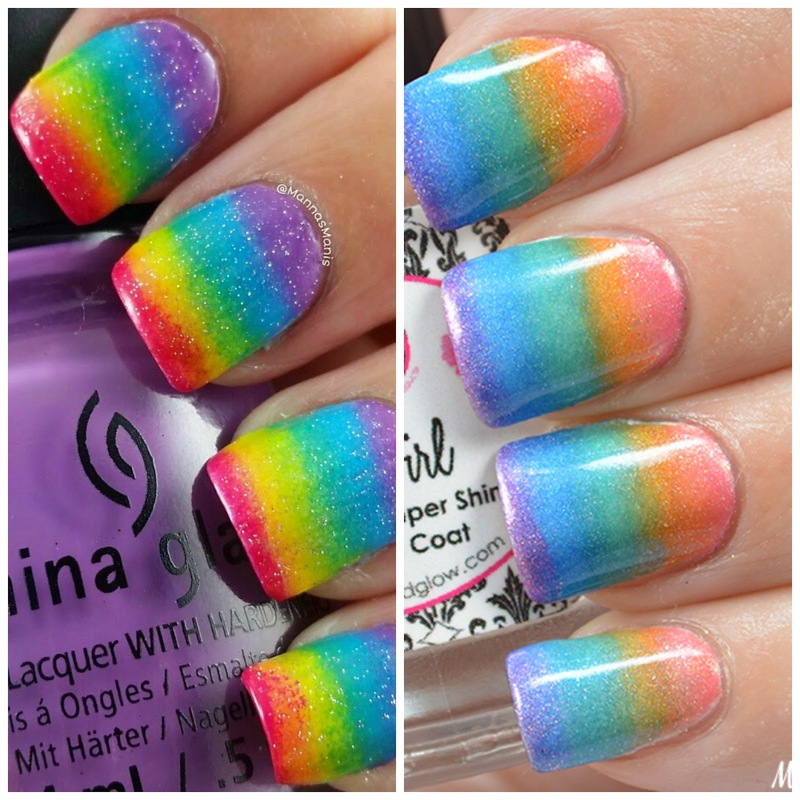 I'm going to attempt to re-do some of my first manis from last year, the good ones and the bad ones. 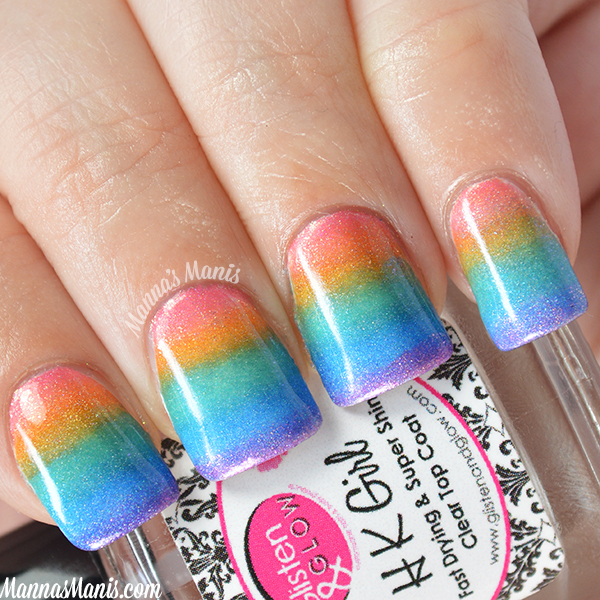 I'm going to start with one of my favorites- the rainbow gradient! 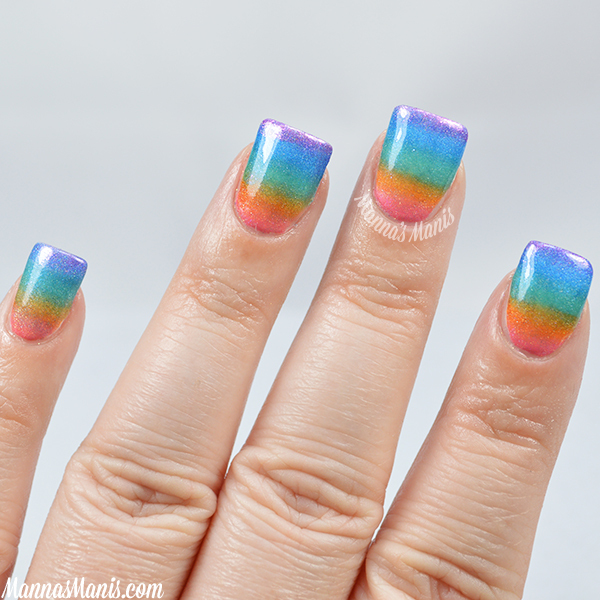 My very first blog post was a tutorial on how to do a rainbow gradient. I was so proud of myself! Looking back, I feel kinda "meh" over it. I was going to re create it exactly, but decided at the last minute to use all holographic nail polish! Unfortunately, I don't own a yellow holo (I need to change that ASAP) so I had to use an orange holo, which I wasn't too pleased with. 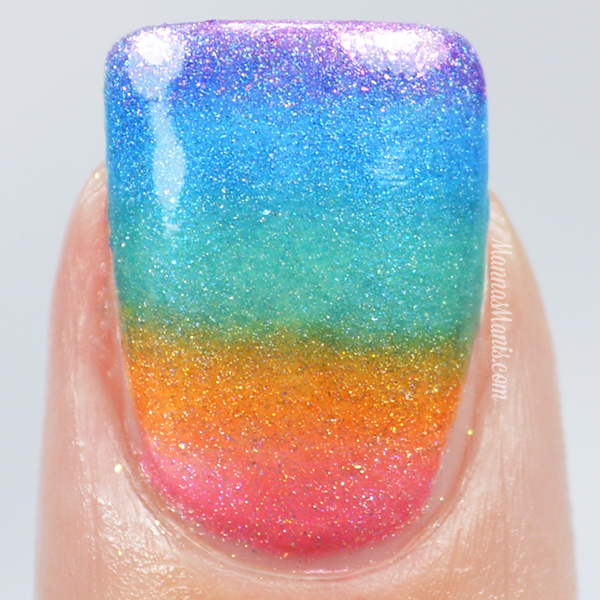 In pictures my holo rainbow looks dull, but IRL it's so pretty and sparkly. Ugh. What is your favorite nail art that you have done?